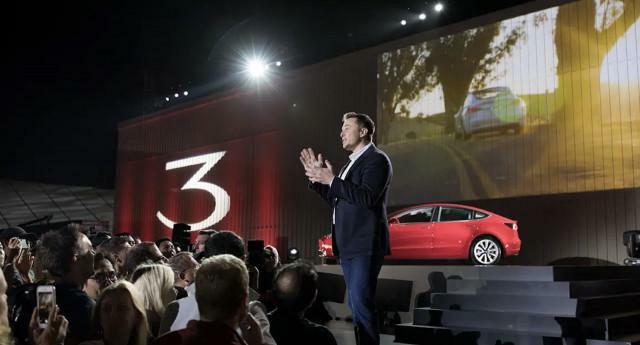 On Thursday, The New York Times published an interview with Tesla CEO Elon Musk that revealed that the company's board may looking for a new operational leader for the company. In the wide-ranging interview, Musk acknowledged that his tweet last week about having "funding secured" to take Tesla private was not cleared by anyone else, including Tesla's board. The Securities and Exchange Commission is investigating the tweet, which bumped up Tesla's stock price, to determine whether it constitutes stock manipulation. Musk's admission that it was not vetted by board members may give ammunition to investigators, but it also points out the burden of running such a large, prominent public company, and the potential consequences of haste, pressure, and naivete from a CEO. In the interview, Musk describes the toll that running Tesla and his other mega-venture, SpaceX, have taken on his personal life: lack of sleep, missing or nearly missing family events, and having little time with his children. "The worst is over from a Tesla operational standpoint, but from a personal pain standpoint, the worst is yet to come,” Musk said in the interview. At several points during the interview, when he spoke of family sacrifices or lack of sleep, the Times reports Musk paused and became emotional. The Times reports that Tesla's board approached former Facebook executive Sheryl Sandberg as Tesla's No. 2 or chief operating officer, but no deal was reached last year. Sources familiar with the board's dealings said the search has intensified since Musk's tweet about taking the company private. Many observers have criticized Musk's recent public communications—including many on Twitter—and in public earnings calls as "erratic" and sometimes hostile as he has come under increased pressure to deliver profits and to reach production targets for Tesla's bread-and-butter Model 3. Whatever efforts Tesla's board is making to relieve some of the burden on Musk, he said he is not aware of it. "To the best of my knowledge," Musk told the Times, there is "no active search right now." In response to questions about the executive search from the Times, the board issued a statement to the newspaper and said: "There have been many false and irresponsible rumors in the press about the discussions of the Tesla board. We would like to make clear that Elon’s commitment and dedication to Tesla is obvious. Over the past 15 years, Elon’s leadership of the Tesla team has caused Tesla to grow from a small start-up to having hundreds of thousands of cars on the road that customers love, employing tens of thousands of people around the world, and creating significant shareholder value in the process."